The Chinese space station, China’s Tiangong-1, re-entered the Earth’s atmosphere at 17,000 mph, crashed and burnt up over the South Pacific on Monday, the Chinese space authority said. “The Tiangong-1 space lab re-entered Earth’s atmosphere Monday morning, landing in the middle of the South Pacific. Most parts were burned up in the re-entry process.” the agency added. 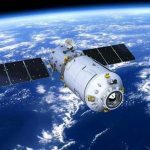 In a statement by the China Manned Space Engineering Office, they confirmed that the 8.5-ton space station came down in the central region of the South Pacific. 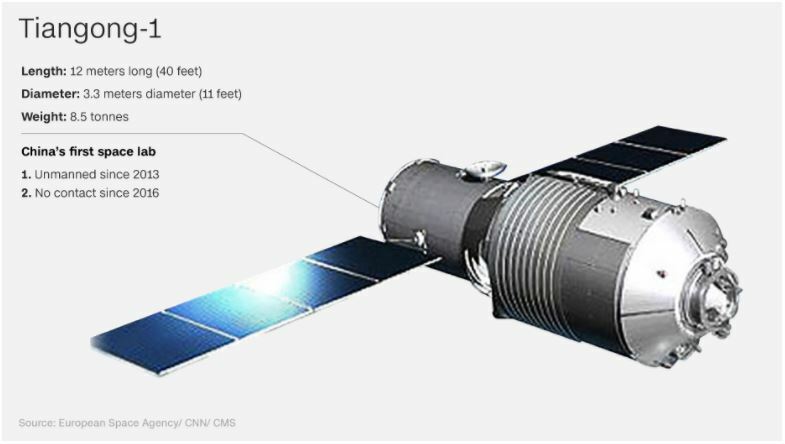 Tiangong-1, translated to “Heavenly Palace 1” or “Celestial Palace 1”, was China’s first prototype space station. The space station orbited Earth from September 2011 to April 2018. It ended service in March 2016 after completing its mission. Tiangong was originally planned to be decommissioned in 2013 but its mission was repeatedly extended. In 2016, China had lost control of the craft as the spacecraft was no longer responding to ground control and stopped functioning. 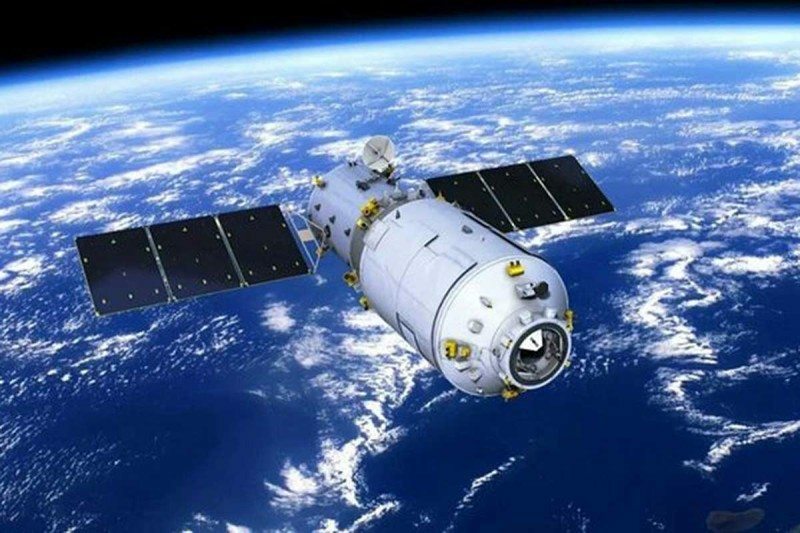 It has docked with Shenzhou-8, Shenzhou-9 and Shenzhou-10 spacecraft, and undertaken a series of tasks, making important contributions to China’s manned space cause. The space station serves as both a manned laboratory and an experimental testbed to demonstrate orbital rendezvous and docking capabilities during its two years of active operational life.